Jason Conti has ported Indicator Applet to GNOME 3. That means that you can now get almost the same classic (fall-back) GNOME 3 session look in Ubuntu 11.10 like in Ubuntu 11.04. With this, you'll be able to use all the applications that come with an Ubuntu Appindicator, Indicator Date/Time, the session indicator, network, Ubuntu Sound Menu, Messaging Menu and even the Global Menu (optional) in the classic (fallback) GNOME 3 session, just like in Unity. However, unlike in Unity, the Global Menu doesn't hide automatically for maximized windows and there are no buttons on the top panel. The GNOME 3 Indicator Applet has been proposed for merging in Ubuntu, but most probably it will only be available starting with Ubuntu 12.04. 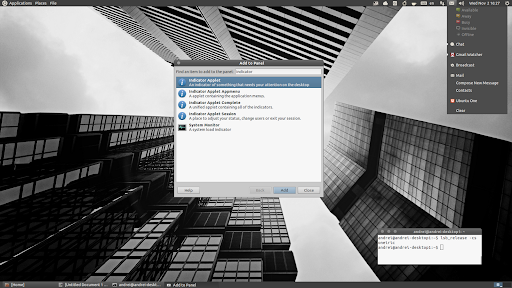 But you can already install it in Ubuntu 11.10 Oneiric Ocelot by using a PPA. Once installed, you can remove the existing applets that you don't need such as the clock or user menu from the GNOME 3 classic session top panel - to do this, ALT + right click them and select "Remove". Then, to add the GNOME 3 Indicator Applet to the panel, right click the top panel while holding the ALT key and select "Add to panel" and from the applets list, add "Indicator Applet Complete". To get a Global Menu, also add "Indicator Applet Appmenu". Please note that if you don't remove the notification area (systray) from the top panel, you'll get an extra sound icon. Unfortunately I couldn't find a fix for this. Also, if you want to move/remove the systray, don't ALT+RIGHT CLICK on it but in front of it (there's a very small invisible area). And a final tip: to fix the panel, ALT + RIGHT CLICK it and for the background, use "#303030" color (for Ambiance theme). 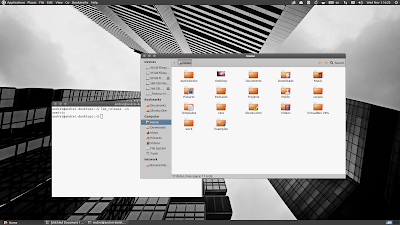 Alternatively, install a GTK theme that supports the new GNOME 3 panel such as Zukitwo (I've used Zukitwo Dark in the screenshots / video in this post). Then use GNOME Tweak Tool (available in the Ubuntu repositories) to apply the new theme.